The summer season kicks into high gear with SummerPalooza! 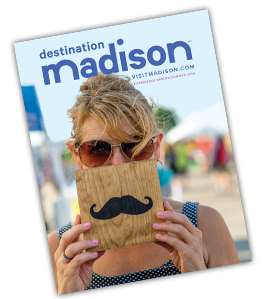 Hosted by Madison Children’s Museum and Rotary Club of Madison, the fifth annual SummerPalooza festival features free museum admission all day! Come for free performances outside the museum too. There will be a block party on N. Hamilton Street with games and strolling entertainment.